Recently, there has been much debate on the animal captivity in zoos, and we must agree that keeping animals in cages is inhumane and wrong to the core. We cannot consider ourselves to be major-league, and everything and everyone in nature should serve our desires. We actually deprive other living beings of their natural habitat and freedom and imprison and humiliate them just for fun. 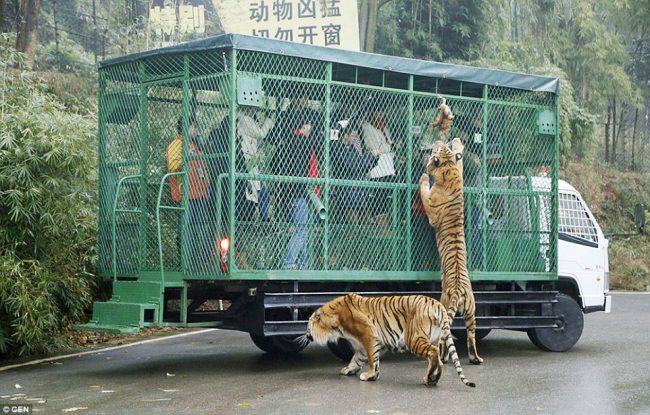 However, a Chinese zoo decided to make a change and found an interesting way to give people an opportunity to spend time with animals without caging them. The Lehe Ledu Wildlife Zoo lets big cats and other wildlife species, like bears, roam free and instead, allows visitors to enter the cages. 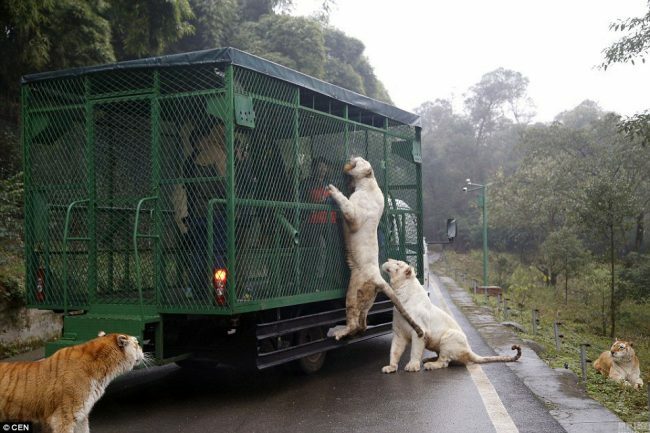 In order to attract the animals, visitors can use chunks of meat that are tied to the outside of moving cages, and these vehicles also protect them from being eaten. 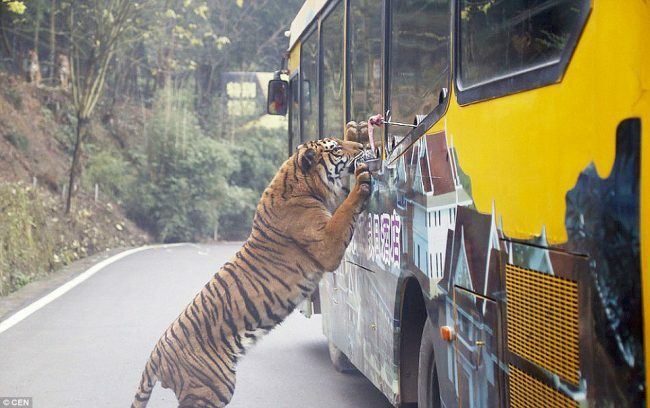 Yet, there are still opponents to this idea, who claim that the zoo is dangerous as zoo visitors are too close to the wild animals. 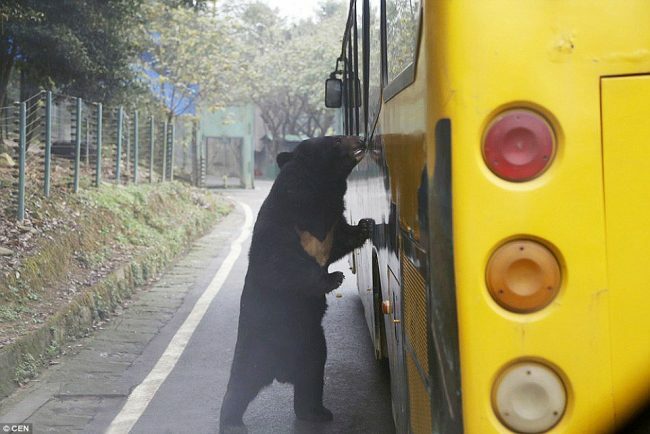 The Daily Mail reported that some individuals consider this unusual park attraction as ‘an accident waiting to happen’. On the contrary, the zoo is extremely popular, which just shows that most people actually enjoy spending time with their favorite animals while they are freely roaming their natural habitats.